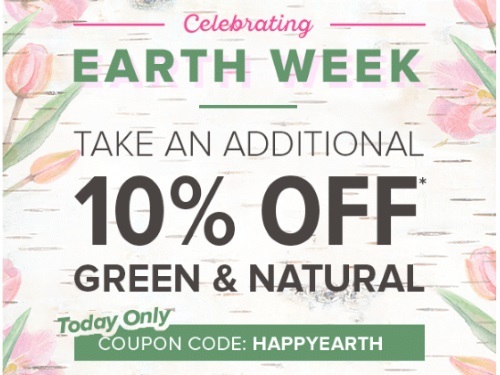 Well.ca is celebrating Earth Week today with a 10% off promo code for their Greeen & Natural products category! Enter the promo code HAPPYEARTH at checkout. Offer is valid today only, Thursday, April 20, 2017.